Good news for all Elmo fans this upcoming March. Warner Bros. Home Entertainment along with Sesame Workshop are excited to present the release Sesame Street: The Best of Elmo 3 on DVD and digital, two hours of adventures of everyone’s favorite furry red monster Elmo! This trip down memory lane will teach Elmo fans both young and old about the importance of friendship and helping others. Elmo sings and dances his way through numbers, letters, vocabulary, and emotions with his Sesame Street pals and a few famous friends like Melissa McCarthy, Taye Diggs, Drew Brees, Romeo Santos, and many more! Join Elmo as he does "The Elmo Slide," finds out about "The Power of Yet" with Janelle Monae, and sings about the number 5 with the band Train. Elmo learns about counting, vocabulary and even how manage his emotions in the hit song, "Belly Breathe" with Colbie Caillat and Common. This special collection is filled with Elmo moments fans will treasure and find helpful for themselves. Learning is interesting and fun when favorite characters are in the stories, when the songs, dancing and games make us want to follow them and do the same. Kids would definitely benefit from watching Elmo’s episodes and gain some confidence not only in math, vocabulary and grammar but also in dealing with some challenging situations at school and home. Following Sesame Street: The Best of Elmo 2 which was a big hit, Sesame Street: The Best of Elmo 3 brings the most memorable Elmo’s segments in one DVD. It also includes Bonus full-length feature, "Elmo and Abby’s Birthday Fun"! Sesame Street: The Best Of Elmo 3 is scheduled to be released March 03, 2015. For our US readers we are excited to host a fantastic giveaway. 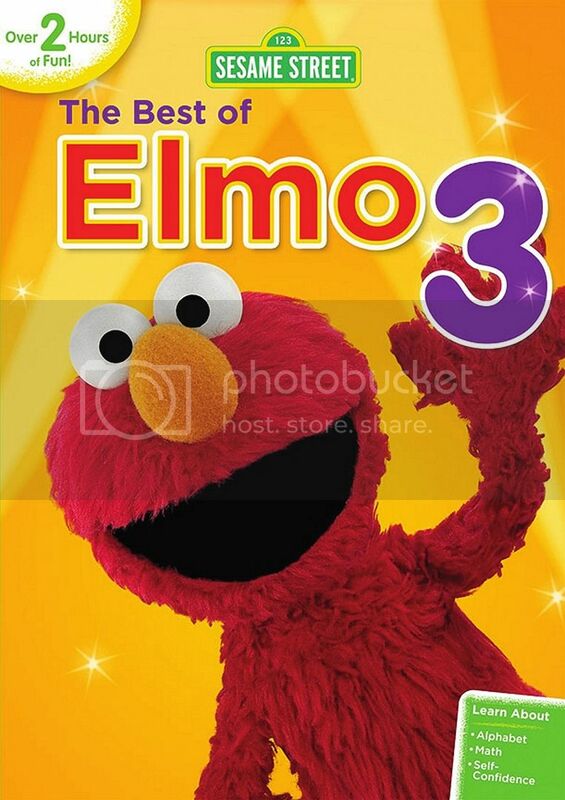 Three lucky people will win The Best of Elmo 3 on DVD thanks to Warner Bros. Home Entertainment. For your chance simply fill the Rafflecopter from below. The giveaway is open to US residents only, no P.O. boxes please, and ends March 10, 2015. I have always loved Big Bird and Bert and Ernie. i like elmo the most! We like Elmo the best. My son loves Cookie Monster. My favorite Sesame Street Character is Elmo. Elmo is my favorite character from Sesame Street! Cookie Monster is our favorite! Snuffleupagus was my favorite growing up. I have always loved cute yellow Big Bird. My vote is for Oscar the Grouch but the little guy here seems to LOVE Murray. I love Elmo and Big Bird!